One of the nice things about a bike is that you can lock it up practically anywhere. 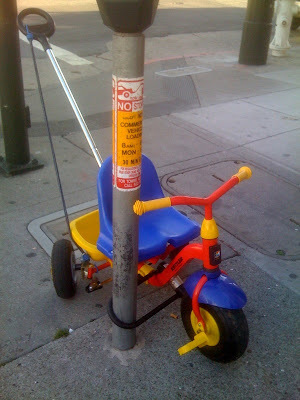 A lamp post, a parking sign, a park bench, or a railing; pretty much anything securely attached to the ground can hold a locked up bike, though please don’t use a parking meter (h/t to Joe Linton of LA Creek Freak). Even so, not all bike parking is created equal. If you have the option, please lock your bike to a bicycle rack. Beware of sign posts, as they sometimes come out of the ground. Bike parking’s no good if it allows thieves to slip the post right out of your lock, cable or chain. If you use a sign post, make sure you’ve got the right lock. Using a large chain can allow a thief to slip your bike up and over the top of the sign. A u-lock is much safer. 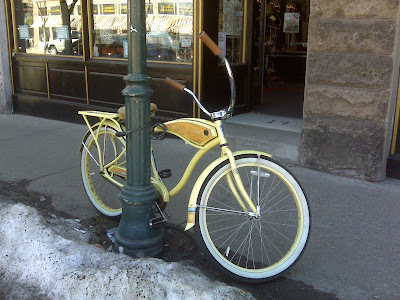 We have heard stories that some bike racks in the City have been tampered with. A rack can be loosened in the ground so it can be pulled out later by a thief. It’s always a good idea to give the bike rack or street furniture you plan to use a good tug or pull so that you know it’s legit. We’ve also heard of cuts being made in a bike rack (with a sticker placed over it afterward so the rack looks whole). If you see a sticker on a rack, make sure it’s not hiding any surprises. 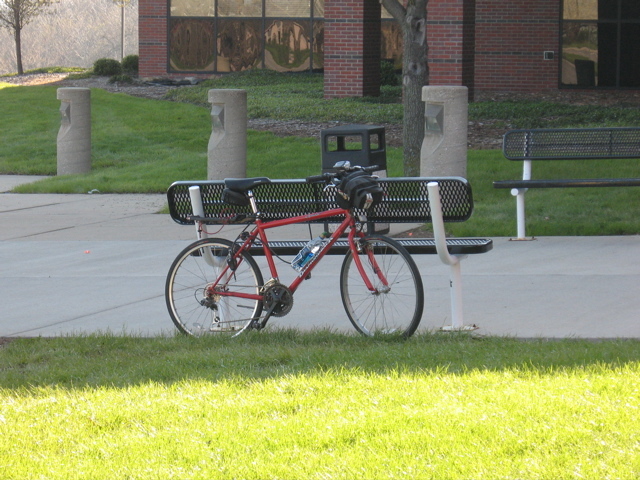 If you’re not confident with the results of your test, consider looking for a different location(and let us know the exact location of the bike rack that is loose at: www.bicyclela.org!). If you notice a location that could use a public bike rack: make a request here! We always want to add more and better bike parking in LA, but we don’t always know where bicyclists need it the most. You, the public, are the best resource we have for where new parking should go, so let us know!